On July 2, the German Federal Institute for Risk Assessment (BfR) published the English version of its Opinion No. 008/2018 of 27 February 2018 on mineral oils used in cosmetic products, supplementing its first Opinion of 2015. Its risk assessment relates to those mineral oil qualities which comply with the purity requirements for pharmaceuticals and for mineral oil authorised as food additives, and with the requirements of Cosmetics Regulation. 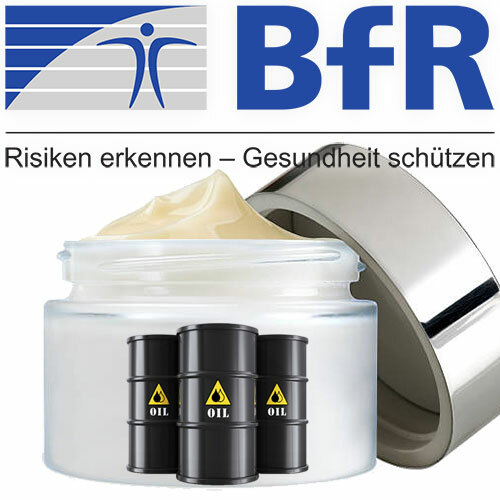 According to the currently available scientific knowledge, no health risks are to be expected for consumers who apply cosmetic products containing these mineral oils to their skin, in the view of the BfR. Cosmetic products can contain mineral oils. These are complex mixtures of hydrocarbons of different structures and sizes. A distinction should be made between mineral oil saturated hydrocarbons (MOSH) and mineral oil aromatic hydrocarbons (MOAH). The latter could potentially contain carcinogenic substances, such as polycyclic aromatic compounds. According to the EU cosmetics regulation, mineral oils are only permitted in cosmetics if the full refining history is known and the starting material is not carcinogenic, or if the distillate was tested using specific methods (IP346). The IP346 method is an initial test for those mineral oils which are to undergo further purification steps for subsequent use in cosmetic products. This should prevent the use of mineral oils which are of concern to health. In addition to possible absorption via the skin, oral exposure has to be considered, especially with lip care products, which can also contain mineral oils. As low-viscosity mineral oils can easily be absorbed orally, medium- and high-viscosity mineral oils and microcrystalline waxes are recommended for use in lip care products. Certain highly purified food grade medium and high-viscosity mineral oils and microcrystalline waxes were subjected to a health risk assessment by the European Food Safety Authority (EFSA) and approved for use in the food sector. Values for acceptable daily intake (ADI) were derived for these mineral oils and waxes by the Joint FAO/WHO Expert Committee on Food Additives (JECFA) and by EFSA. Cosmetics Europe, the European trade association for the cosmetics and personal care industry, has advised manufacturers of lip care products only to use those mineral oil fractions for which ADI values apply.